Right: 2005-dated B-50 silver medal (also see below). The deadline to order from the club was November 30, 2004. Silver and pewter 2005 medals were available through the Boeing Employee Discount Program. 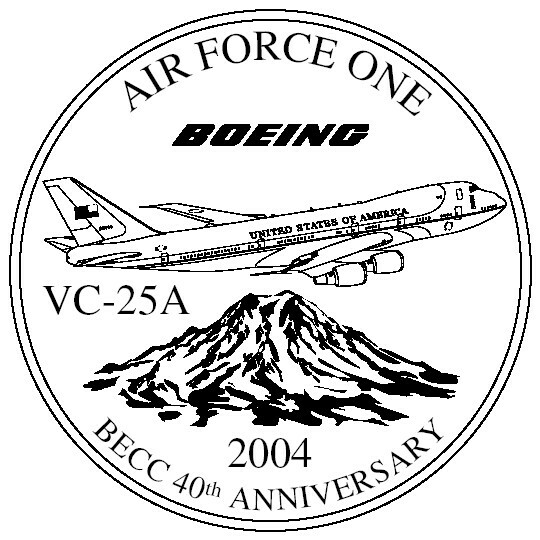 2005 Medal — BECC members present at the March 24, 2004 club meeting selected the Boeing B-50 as the 2005 medal design. 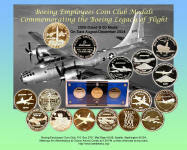 Medals chairman David Buehler reported, "The Boeing B-50 was the overwhelming winner in both the first round and the final round of voting as evidenced by the totals" (47 votes for the B-50 in the final round). The artwork shown here was the basis for making the medal. The legend "FIRST NON-STOP FLIGHT AROUND THE WORLD" calls attention to the history making flight of February 25-March 2, 1949. Production totaled 800 silver medals, 400 pewter medals, and 400 bronze medals. The ordering deadline was December 31, 2004. 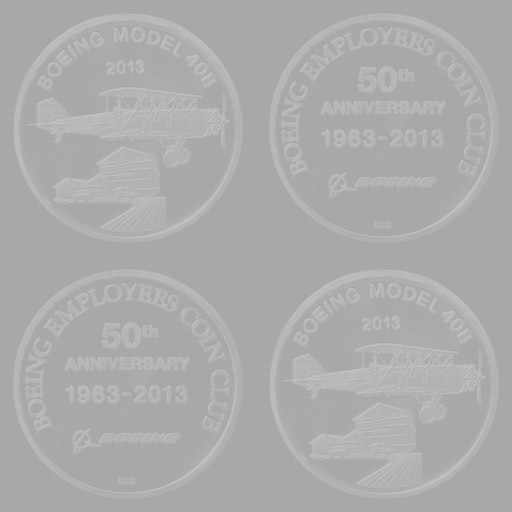 See the Boeing history page for the B-50 bomber. three-piece medal set in plastic display holder. See pictures of 2004-2007 medals for common reverse. 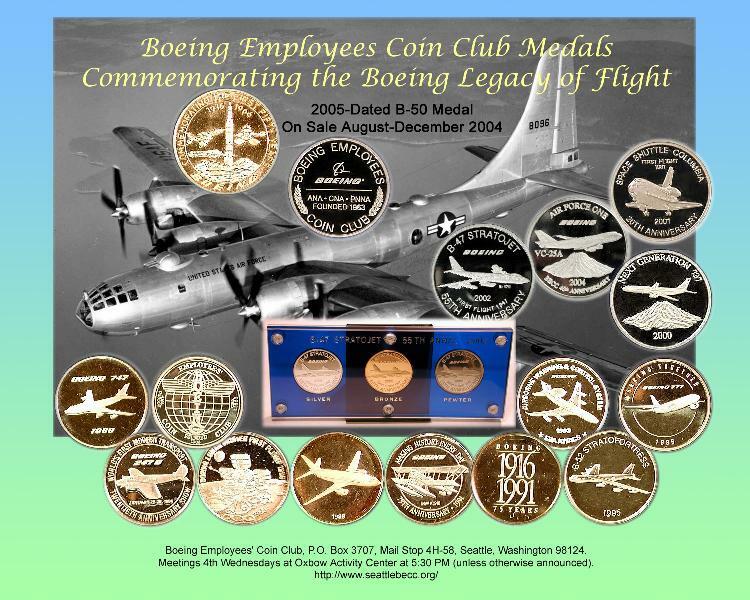 2004 Medal — At the March 26, 2003 regular meeting, BECC members voted overwhelmingly to feature Air Force One on the club's 2004-dated medal, which was sold during the 100th anniversary of powered flight celebration in the fall of 2003. (The airplane, a highly modified Boeing 747-200, is officially known by the Air Force One call sign only when the President of the United States is onboard.) Production totaled 800 silver medals, 400 pewter medals, and 400 bronze medals.